Among other demands, the farmers in Maharashtra are demanding a complete waiver of farm loans and free electricity. Various farmer bodies met Maharashtra Chief Minister Devendra Fadnavis , but the talks failed. On Tuesday, various farmer bodies of the state met Maharashtra Chief Minister Devendra Fadnavis , but the talks failed. 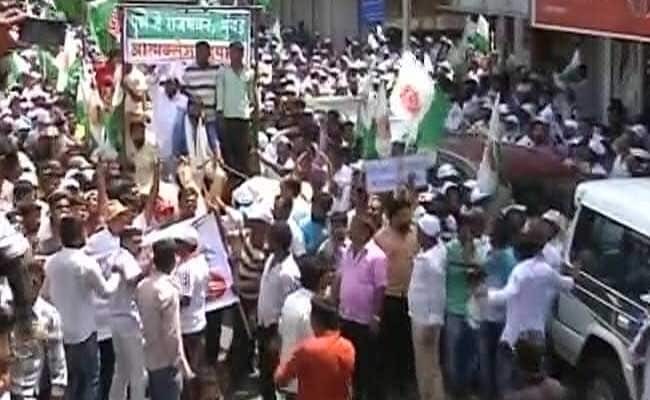 Lawmaker Raju Shetty, who heads Swabhimani Shetkari Sangathan, a farmers' body, led a march to Mumbai's Raj Bhavan on Wednesday. Mr Shetty marched from Pune to Mumbai demanding a better deal for farmers in Maharashtra that includes a crop loan waiver and better prices for agricultural produce. "Farmers have been deceived in this country. Their trust has been hurt. I am also partly responsible for this and this is why I started this 'Atmaklesh Yatra' for repentance. Today is the 9th day and we are meeting the governor," Shetty told reporters. The group has pegged the cost of a loan waiver to farmers at Rs 21 thousand crore. Apart from farmer, children of farmers who have committed suicide also participated in the march. The Devendra Fadnavis government had been under severe fire from not only the opposition parties - Congress and NCP - but also its own allies - the Shiv Sena and the Shetti-led SSS.